Bike sharing builds strong communities — and strong community partnerships build successful bike shares. Zagster bike share drives economic growth, improves public health, boosts civic pride, and raises quality of life. However, we can’t do it without the support of local partners. Partner with us to bring Zagster to your people, whether they’re employees, customers, students or visitors. And we’ll work hard to deliver value back to you, whether it’s increasing traffic, making it easier to get around town or campus, or just making your city a better place. Drive awareness of your brand throughout the community. Associate your brand with health, wellness, sustainability, and community. Attract, retain, motivate, and reward your employees. Encourage a healthy lifestyle. Enhance relationships with city decision-makers and other sponsors. Give the gift of bike sharing to your customers and fans to attract and retain loyal customers. 51% cite bike share as their only access to a bike on a regular basis. Our Standard Sponsorship Package includes the below branding opportunities. If you would like more details or information on pricing please fill out the form below and we will be in touch! 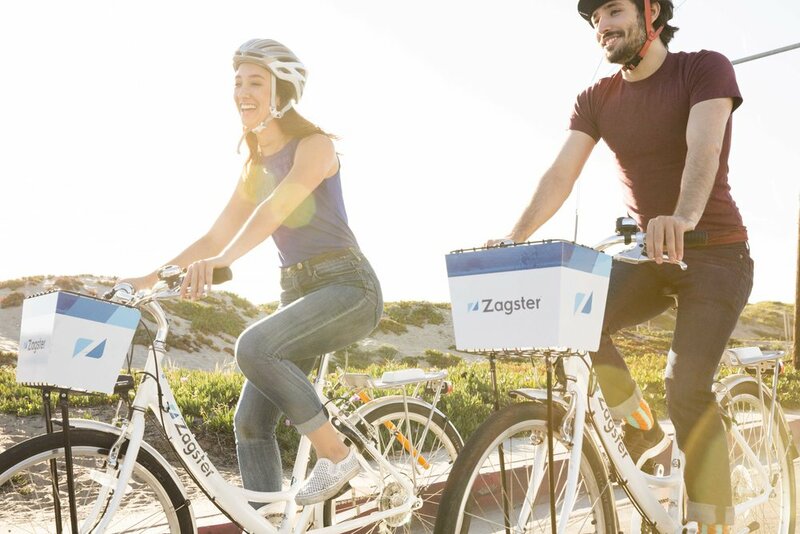 Zagster powers over 250+ Bike Share Programs across North America partnering with sponsors across many industries to provide the necessary funding. Bike sharing supports strong communities - and strong community efforts support successful bike shares. Ready to partner with Zagster in your community? Get in touch, and we'll help you determine how to best reach your goals through a sponsorship opportunity.